Top 5 Superbowl Halftime Shows! The Superbowl is the most watched thing on television & great musical acts are given the opportunity to perform during the events annual half time show. This year Bruno Mars will be the performer. Some may say its too early in his career with only 2 albums (both being multi-platinum btw), but Mars has a nice catalog of hits & his music is actually relateable to different ages & demographics so he will most likely gain a mass new number of fans. The Superbowl has hosted a number of great performers & performances & we would like to rank them in the order we feel is right. Diana Ross was the first female artist ever to perform at the Superbowl. She proved that she was a true entertainer by breezing through her classic hits such as “Stop In The Name of Love”, “Baby Love”, & her version of “I Will Survive”. Ms. Ross goes through many costume changes, gets launched in the air on a podium & departs the arena in a Helicopter. Her performance might be ancient but it showed us what being a diva was all about & remains a major influence in many artist shows today. Michael Jackson the biggest entertainer of the all time & he was the performer for the Superbowl half time show in ’93. Michael’s entrance is probably what is most remembered simply because he popped out on stage & stood their for a good a minute & some seconds before he threw off his shades & busted out pop locking. Some may disagree with MJ’s placement but there’s a reason. Although Michael is the greatest he often lipped synced & this performance was indeed pre recorded just like his tours but that’s a different post. Performing his greatest hits of all time “Billie Jean”, “Black or White” & “Heal The World” his performance along with his legacy will always be remembered. Janet Jackson & Justin Timberlake has the most talked about half time show of all time because of the infamous nip slip. Janet gave an awesome performance of her hits “Rhythm Nation” & “All For You” while Justin rocked the house with “Rock Your Body”. Beyonce proved why she is this generations top artist by doing what she does best, giving the world a great show. Starting off with “Love On Top” then jumping right into her first solo hit “Crazy In Love” Beyonce showed out & gave surprise after surprise, with her eccentric fire bursting opener to the surprised Destiny’s Child reunion & even allowing the ladies to perform “Single Ladies” with her. Mrs. Carter gave us the show of a life time & even blacked out the Superdome. Prince hates the world so all & any video attached to his name on the internet is automatically removed. But that doesn’t take away that he had the best Superbowl Performance of ALL TIME. Prince’s stage alone is why he’s number 1. Then the crowed went crazy when played “Let’s Go Crazy” & portions of “Proud Mary”& mega pop star took millions of viewers by storm when performing his classic “Purple Rain”. 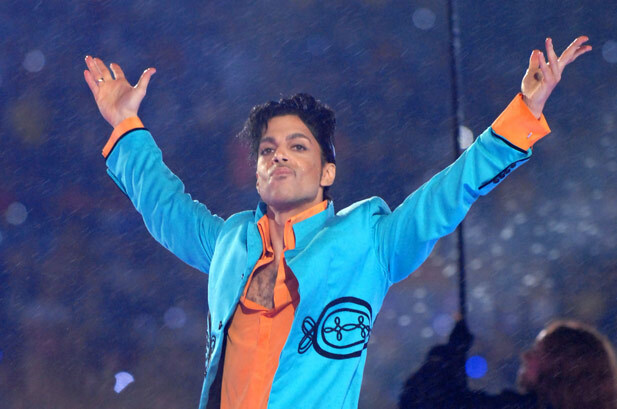 Prince remains supreme.